It's the middle of August! I don't know about you, but if feels like only yesterday that we were heading into summer...Wow! Time is passing quickly! 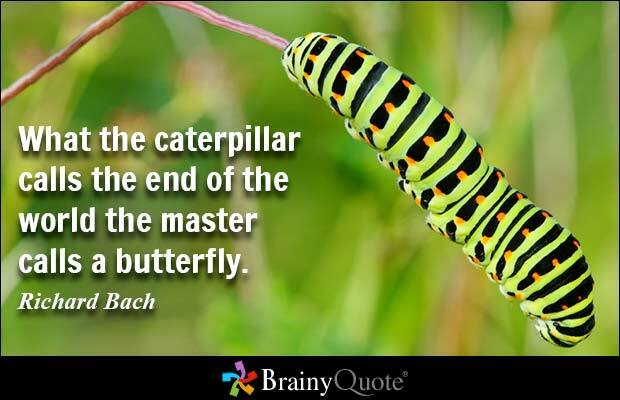 Our theme this month is " Just when the caterpillar thought that life was over... it changed into a butterfly!" Such a powerful image. How many of us have had rough times in our life - our dark night of the soul? It's part of the human experience. Yet when we persevered, stayed positive, and trusted that all would turn out ok, it did! It reminds me of my favorite quote from the movie The Best Exotic Marigold Hotel: "everything will be all right in the end... if it's not all right then it's not yet the end!" As long as you are breathing then it is not yet the end of your human experience. And thus remains the potential to transcend any circumstance, situation or difficulty and transform it into something powerful, wonderful and beneficial. Mark your calendars now for September 17th. I'll be presenting " Take Charge of Your Health and Wellbeing: Be Your Own Advocate" at the Be Well Naturally Seminar. Check out the details in the " Save the Date" section below. Cynthia Bowling is our Practitioner of the Month. Her work with AIT (Advanced Integrative Medicine) is a powerful process to shift our "dark night of the soul" to a total transformation. If you are experiencing any problems or difficulties in your life, think about having a session with Cynthia! Transform from that chrysalis to the beautiful butterfly that you are! Be sure to check out our Health Tip Video... and have a wonderful rest of your summer! "Meditation is the process of transformation and beautification of soul from a leaf-eating caterpillar to a nectar-sipping butterfly. It grows with the wings of love and compassion." 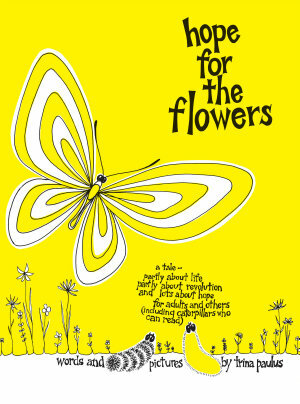 Health Tip: "Just when the caterpillar thought the world was over... it turned into a butterfly! I can so relate to this quote!! In my early 30's I was living in St. Louis and had completed my Master's Degree, had two small children and was working as a Critical Care Nurse Specialist. After several years of trying to make my marriage work, I went through a painful, intense divorce. I decided to give up my job, move back to Louisville and start all over. On that icy, cold night driving across I-64 with my two children, I felt like that caterpillar and that life was over as I knew it. I crawled into that cocoon of pain, confusion and disappointment. Through many years of soul searching, listening to my inner calling, Spiritual Direction and unraveling false expectations, I emerged from that chrysalis a butterfly. Today I'm here with my colleague Cynthia who is going to share more about unraveling the chrysalis so transformation is not only possible, but inevitable! 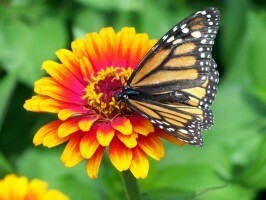 Cynthia: The image of a butterfly became quite significant during my AIT (Advanced Integrative Therapy) training. We had a place in Mississippi that was completely destroyed by Hurricane Katrina. We still had a structure, which was more than some whose homes were completely demolished, but we had a lot of damage. I knew that I wanted to plant flowers to bring some life and beauty to the devastated area. 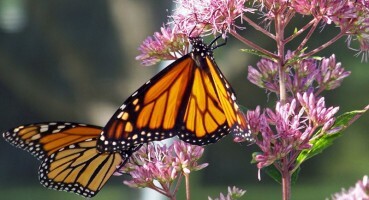 I didn't realize at the time that the plant that I chose was a favorite among monarch butterflies. When I returned several months later, I found that caterpillars had eaten all the leaves and now there were hundreds of chrysalises hanging from everywhere! We literally got to watch many butterflies emerge. It was transformative. It is also a beautiful metaphor for AIT. I have witnessed this therapy help people transcend pain, trauma and hardships and emerge into a fulfilling, contented, powerful life. Kim: We all face circumstances that seem to force us into the cocoon or dark night of the soul. Yet if you are patient, willing and have to courage to reach out for the help you need, there is a beautiful butterfly awaiting! So if you need help, give us a call! These can be helpful and effective medications. One possible side effect is lowering your heart rate too low. It's important to know how to take your pulse if you are on one of these medications. The easiest pulse to feel is the carotid artery, which is located on either side of your neck. Use your index finger beginning at your ear lobe and move your finger half way down your neck. Place your middle and ring finger next to your index finger on your neck (toward your throat) and feel for your pulse. Count your pulse for 15 seconds, and then multiply this number by 4 to get your heart rate per minute. If your heart rate drops below 50 beats per minute, contact your doctor before taking an additional dose of your beta-blocker medication. Our quarterly Vasolab opportunity is a simple, gentle, and quick way to check the carotid artery...letting you know your risk of stroke and heart attack. Please call our office to schedule your 15 minute appointment. $150 includes Vasolab results review with Kim. Just a reminder: If you have questions for Kim between appointments, consider taking advantage of her phone consultation appointments. 1. First, call ahead to IIM 502.253.4554 and ask to schedule either a 15 or 30-minute "phone consultation." Phone consultation: 15-minutes=$40 / 30-minutes=$65. 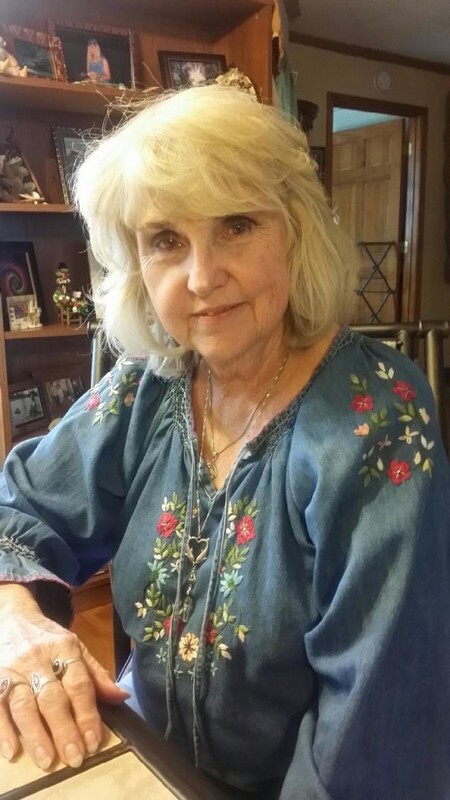 "a tale ~ partly about life, partly about revolution, and lots about hope"
Cynthia Bowling is a Licensed Clinical Social Worker with over 40 years experience as a therapist working with adults, children, adolescents, families and couples. 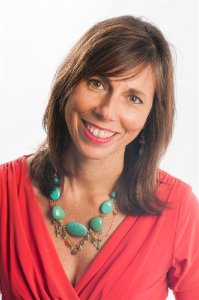 She is the only therapist in Kentucky who is a Certified Practitioner in Advanced Integrative Therapy, developed by Asha Clinton, Ph.D. She is also a certified AIT Teacher. Advanced Integrative Therapy or AIT, is a gentle and effective healing treatment for many types of psychological, physical, and spiritual distresses and illnesses. It treats not just the symptoms but the originating causes of present day difficulties. By treating the cause, symptoms, and the connection between them, AIT lastingly removes suffering. AIT integrates the best established and proven psychotherapies, and then adds a new energy psychology element that is body-based. This simply and gently addresses and clears those aspects of the issue in the body, mind, and spirit. In this way the issue, or "trauma" gets completely resolved! ...producing lasting transformation. The basic cause of human suffering is trauma... any occurence which when it is happening, when we think back to it, or when it is trggered by some present event, evokes painful emotions and/or physical symptoms, sensations, or illnesses. (This can give rise to distresses such as depression, anxiety, PTSD, obsessions, addictions...) Because people don't fully heal from a traumatic incident in their past, something that happens in the present can trigger an adverse reaction if it is similar in some way to the trauma... Trauma fractures human wholeness. 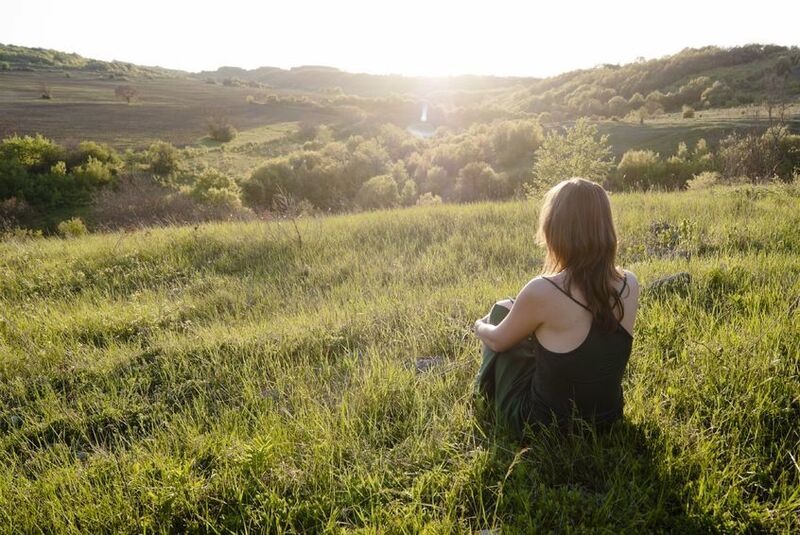 AIT energetically treats the earliest relevant trauma, the present symptom or suffering, and the connection between the past trauma and the present difficulty - AND THE SUFFERING STOPS. "When I was a girl I would look out my bedroom window at the caterpillars; I envied them so much. No matter what they were before, no matter what happened to them, they could just hide away and turn into these beautiful creatures that could fly away completely untouched." CHECK OUT THESE EDUCATIONAL OFFERINGS! Join Rev. Yvonne D. McCoy, The Transformation Institute - Holistic Life Healer, as she sponsors The Healing Touch Spiritual Ministry Program (HTSM), an educational program dedicated to offering classes in the energetic therapy modality of Healing Touch (HT) as well as providing support for Healing Touch students, practitioners and instructors. Our program teaches the sacred healing art that flows from the love and compassion we have for one another. Our philosophy of caring forms the basis of our teaching ~ we are all instruments for the healing energies of God. We promote the art of healing as well as the art of spiritual presence practiced by all those in a caring giving profession/practice/ministry. Who should attend? All levels of Health Practitioners including Physicians, Nurses, Chaplains, Massage Therapists, Pastoral/Parish Ministries and interested Lay People. is a holistic nurse healer specialized in critical care, pediatrics, cardiology, and emergency room. She holds certifications in Healing Touch as a practitioner from the Healing Touch Program, as a practitioner and instructor in the Healing Touch Spiritual Ministry program, and as a Certified Clinical Aromatherapist from the NAHA approved school taught by Rafael d'Angelo in Aurora, CO.
She maintains a private practice in which energy healing, prayer and anointing with oils is an integral part of care. Professional memberships include Alliance for International Aromatherapy, National Association for Holistic Aromatherapy and American Holistic Nurses Association. 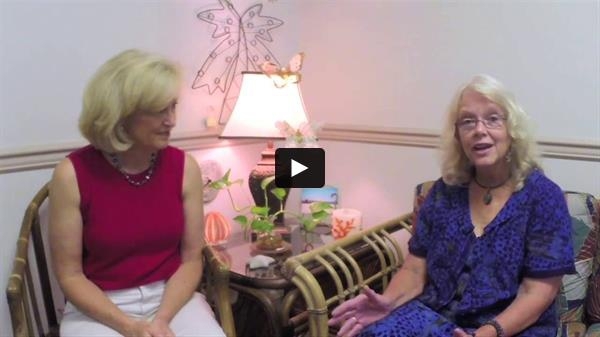 What is the Healing Touch Spiritual Ministry Program? The Healing Touch Spiritual Ministry program is an energy based therapeutic approach to health and healing built upon a Christian philosophy of caring. It integrates prayer, hands-on (energetic) healing and anointing with healing oils. We offer a program that is multi-level based in the Judeo-Christian scriptures. Students may apply for a national certification at the completion of all of the coursework. Designed within the nursing profession, Healing Touch Spiritual Ministry has a spiritual focus that uses touch to promote physical, emotional, mental and spiritual health and healing. The program is open to everyone. Who can benefit in taking a class? Registered nurses in parish nursing, ministers in parish and pastoral ministries, chaplains and nurses in hospitals, nursing homes and hospices, massage therapists, counselors, and the lay community seeking to explore a healing ministry involving the laying on of hands. The Institute of Spiritual Healing & Aromatherapy is a co-provider of nursing continuing education with the Healing Touch Program. Healing Touch Spiritual Ministry Program Benefits: CE's for Nurses and Massage Therapists available through the California Board of Registered Nursing. Become an HTSM Certified Practitioner - Establish a credible healing presence in your community, church or institution. Case manage clients in an on-going healing ministry - emphasizing prayer, energy healing and anointing. Cost/CEU's: $325/Early Bird Registration (includes Student Manual) / $350 within 3 weeks of class; Discounts - for HTPA member and/or Age 65+/CCA through The institute of Spiritual Healing & Aromatherapy, Full-Time Students, course-repeating applicants. Contact Yvonne for details. *This class is 7.8 CEU Hours for Nurses, OT & MT (PT CEU Hours are 7.0) and is also available to the general public for certification. Usui Holy Fire Reiki II is an upgraded energy technique for stress reduction and personal healing practiced in the early 1900's in Japan. It is thought to be used in ancient Egypt and Tibet many centuries ago. Its aim is to keep the body and mind healthy. Karuna Reiki training and symbols are included from Lemurian, Atlantean, Egyptian and Biblical times. An overview of Vibrational History/Research in Medical Field and the use in hospitals is presented, as well as integrative tools of vibrational sound/breath/color, mindfulness and Universal Laws to open the flow of Reiki. Information on gemstones, color and sound are included to raise your vibration level using Karuna Reiki, Rainbow Reiki, Shaman Reiki and Huna Reiki. "When she transformed into a butterfly, the caterpillars spoke not of her beauty, but of her weirdness. They wanted her to change back into what she had always been. But she had wings." "Let me help you develop a health & wellness lifestyle..."
Four out of five adults will experience back or neck issues in their life time. Beckley Wellness Letter reports "weekly massages give more effective short term relief to chronic back pain sufferers than standard medical therapies alone." I have a monthly massage and an every other month chiropractic visit. I take an herbal anti-inflammatory. I recommend discussing a program with you! Call or email me to schedule an appointment for massage & discussion. ~ Betty - Your Healthy Aging Specialist! 5. can reduce muscle tension throughout the body but particularly those tight shoulder and neck muscles. Also - mark your calendars now! 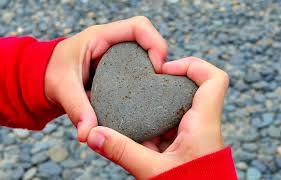 Gentle restorative hands-on sessions to help with many issues including back pain, injury recovery, posture improvement, anxiety, arthritis, neurological problems, and learning or behavioral issues with children. -Try your first class FREE! Holistic Healing Sessions include: Intercessory Prayer, Healing Touch, Guided Meditation, Deep Breathing, Anointing with Essential Oils and Christian Spiritual Counseling. Join Victoria Hayden on the 2nd Monday of the month. These classes will help you to learn how to work with energy, develop your spiritual awareness, to let go of stress and worry, and to find your path in life. Victoria studied metaphysics under the guidance of Rev. Ann Lawes & Rev. Jessie Morgan for over 25 years, holds certification in Reiki I & II, and has been doing clairvoyant readings for 25 years. Contact: For more information on KHNA mission, membership, events, and more, check out the Kentuckiana Holistic Nurses Association facebook page! IN OUR COMMUNITY... and beyond! 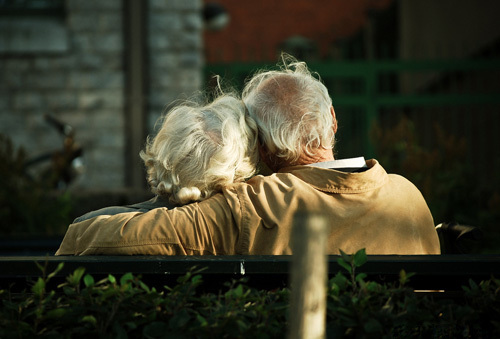 places in which to mature and grow older - places in which older people can participate to the fullest and can find the encouragement, acceptance, assistance, and services they need to continue to lead lives of independence and dignity." "Inner Engineering is a method, a tool to engineer a deep and lasting personal transformation. The course is a comprehensive system addressing every aspect of wellbeing - from body, mind and emotion to the fundamental life energy within us. This 4-day weekend program offers the rare opportunity to experience life transforming wisdom from an Isha teacher trained by Sadhguru, yogi, mystic, and leading authority in yoga." "Gain insight, motivation & guidance..."
Join us for this month's luncheon that will "provide insight, motivation, and guidance to meet and overcome obstacles in everyday life." "What the caterpillar calls the end of the world the master calls a butterfly." "We are all butterflies. Earth is our chrysalis."